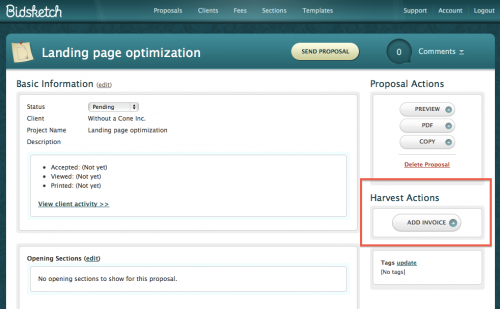 Integrating with Harvest has been one of the most highly requested features for a while. That’s why I’m very excited to be able to say that Bidsketch now works with Harvest! 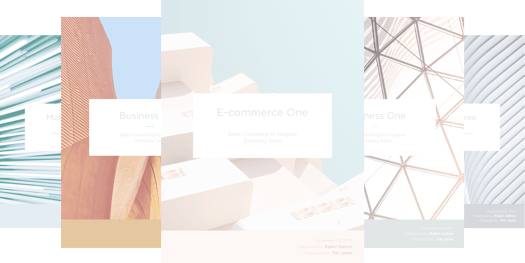 Now, let’s jump into the integration details. 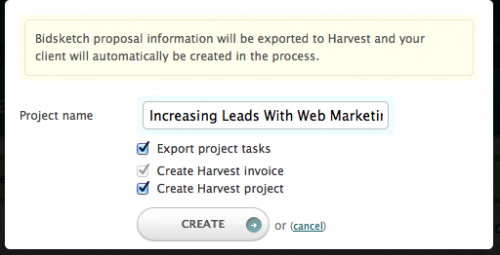 To get your Harvest integration set up, you’ll want to go to the Account –> Integration page. From there, click to create a new integration and select Harvest from the list. 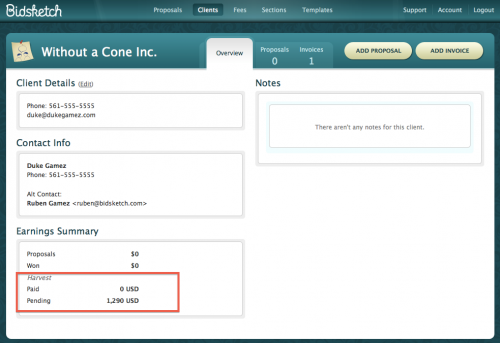 Clicking on the sync link on this page will also import your clients into Bidsketch. After that point, you shouldn’t need to sync your account because Bidsketch will automatically export clients to Harvest whenever you create an invoice from within Bidsketch. 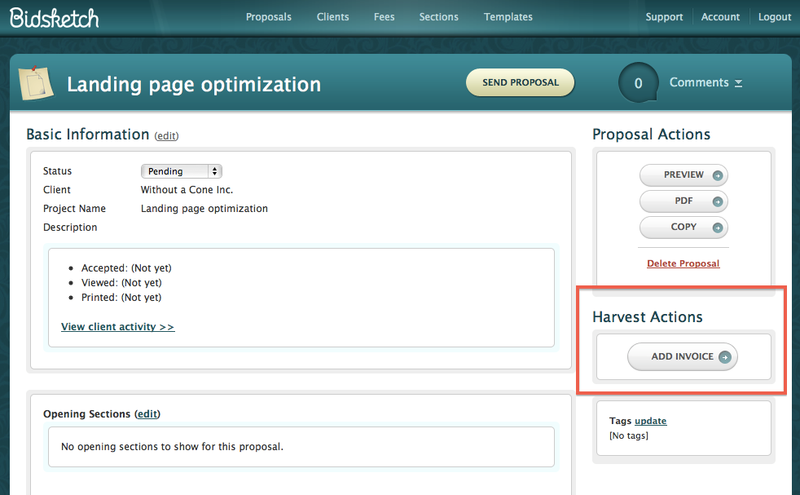 Once you click on that button you’ll be shown a modal dialog that will give you the option of creating a Harvest project. If you select this checkbox, you’ll also have the option of converting proposal fees into project tasks. And that’s everything you need to know about how the Harvest integration works. Remember to try it out if you don’t have an account yet!